We’re proud to announce that JPG’s won another Fearless Award from Fearless Photographers! This time around, Katie and Craig’s engagement photo in a taxicab was chosen to be featured in their newest collection of photos. We’re humbled to say that this award isn’t a first for JPG. 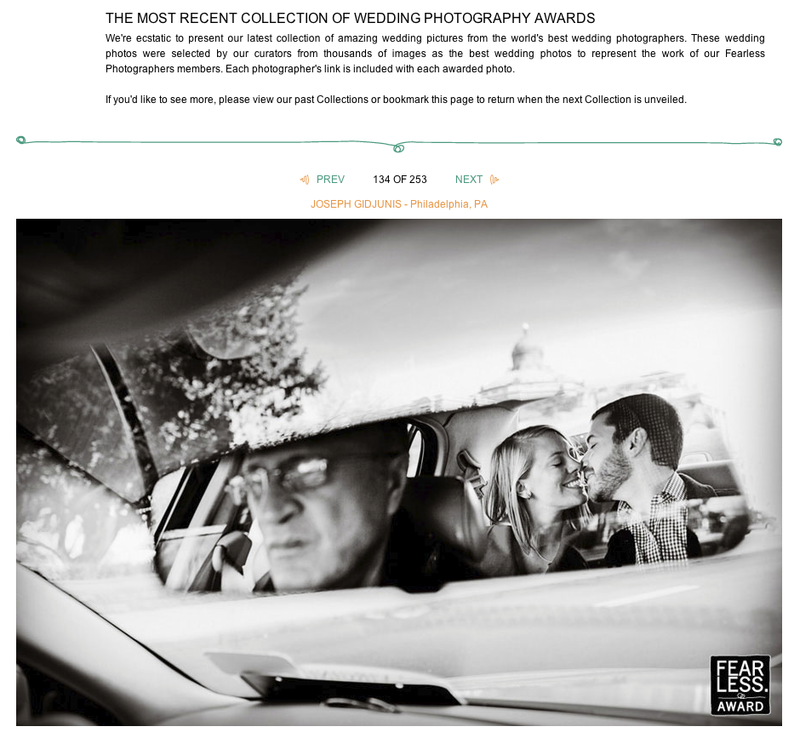 We’ve previously been featured in Fearless photo collections from photographers worldwide. Check out JPG’s profile of winning wedding photojournalism photos here. Thanks, Fearless Photographers, for featuring us in your latest collection of outstanding photos. We look forward to continuing to be Fearless!